Assist bluebird families in feeding ravenous young in the spring and surviving severe winter weather by providing mealworms, a nutritious food source they readily devour. Mealworms are the larval stage of darkling beetles (Tenebrio molitor) and can be purchased at many pet stores and bait shops. 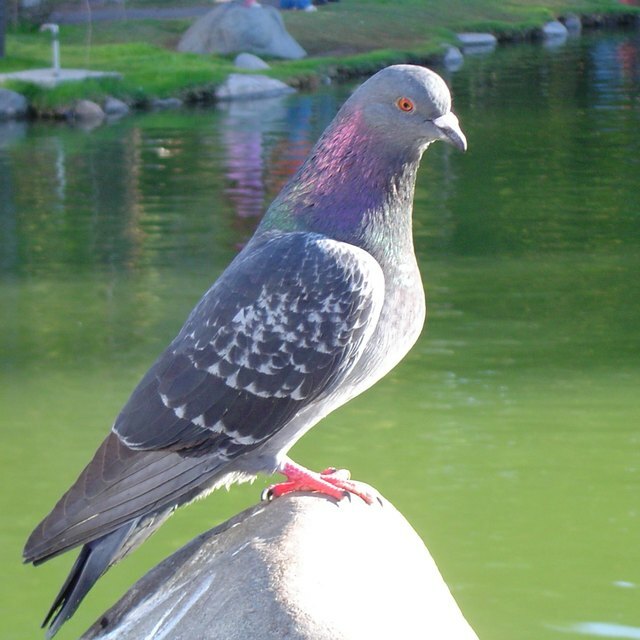 They can be raised without difficulty and do not carry human diseases. Serve mealworms in a smooth-sided shallow dish. Avoid wooden containers, as the rough texture provides mealworms the foothold they need to escape. Feeders for cavity-nesting birds such as bluebirds can also be purchased at many bird supply stores. These feeders, called “hoppers,” are designed with a 1.5-inch entrance that discourages larger birds from entering. Offer mealworms once or twice per day in a serving size of approximately 100 worms, depending on the number of birds you are feeding. Train bluebirds to visit your feeder by making the same noise each time you bring out the mealworms: cluck, whistle or ring a bell. Provide the worms at the same place and time of day. Early morning is considered the best time—the birds are hungry, and the insects they normally feed on are not yet fully active. Store mealworms in a sealed plastic container with ventilation holes punched in the lid. Fill the container with cornmeal, oatmeal or wheat bran and add a slice of raw potato or apple for moisture. Keep the container in the dark. If you purchase a large quantity of mealworms, placing the container in the refrigerator will keep the mealworms in a dormant stage, preventing them from turning into beetles. Once removed from the refrigerator they will exit the dormant stage and resume squirming. This movement is certain to catch the eye of any hungry bluebirds in the area. 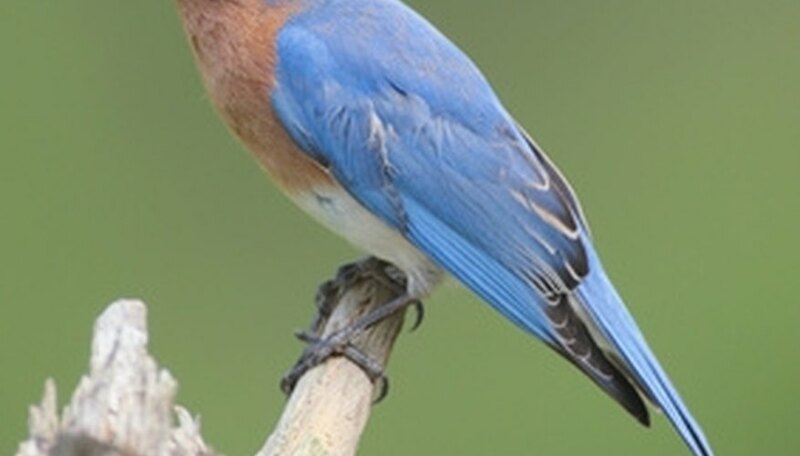 According to the North American Bluebird Society, mealworms are an effective way to entice bluebirds to use a nest box. Place a small container of mealworms atop the nest box roof to attract the birds’ attention. Once they’ve discovered it, move the container closer to your feeder. The bluebirds are likely to follow and begin using the feeder. With food sources so readily available, the bluebirds may consider using your nest box for their next brood. Low in calcium, mealworms should only be used as a supplement to a bluebird’s diet, not as the basis of the bird's nutrition. R., Sydnee. "How to Feed Mealworms to Bluebirds." Sciencing, https://sciencing.com/feed-mealworms-bluebirds-5641045.html. 24 April 2017.